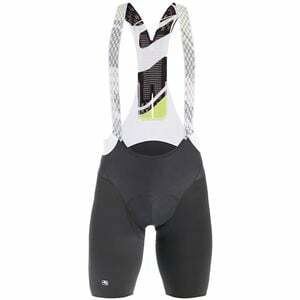 Product Condition: The Lungo Bib Shorts - Men's is in Excellent condition. These shorts were previously for three weeks. The following observations were made regarding these item. *They were tried on in indoors for an occasion. *There aren't any defects in them at all. *They got minor dirty, cleanable. *Original vendor tags are still attached. *All items sold as is, all warranties void. Most riding isnâ€™t racing, but that's an idea that's been somewhat lost on compression bib short design in the past; most racing bibs arenâ€™t been generous to areas of the body that ask for slightly more real estate. Giordana redesigned its Lungo Menâ€™s Bib Shorts with this in mind, adding a breathable and flexible bib strap in the front, while the rear strap remains less forgiving. This construction allows you freedom to stand comfortably and not be pulled into an aero walking position. There is also stretch in the waist for those mid-ride lunch stops and a bit more room added to the front. The single seam legs panels, seamless leg bands, and Cirro S chamois provide support and refinement, while the gently compressive body material provides a form-fitted silhouette that reduces bulk and muscle fatigue while riding.